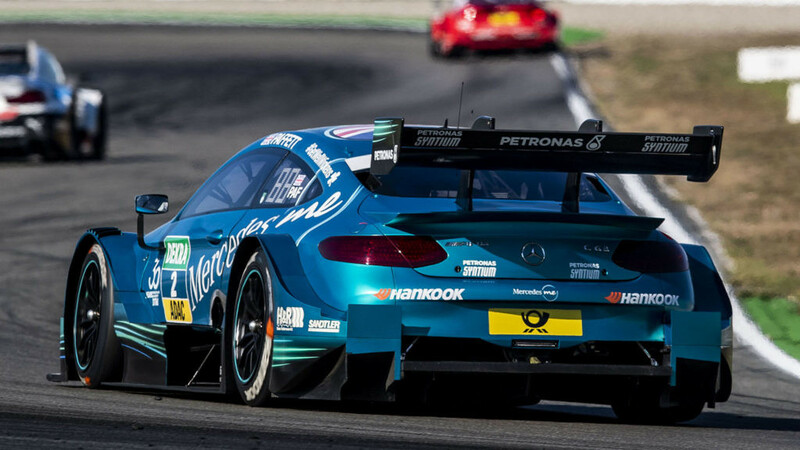 Mercedes-AMG driver Gary Paffett drove a calculated race with minimum risks at Hockenheim on Sunday to secure his second DTM title. Succes for the Briton came in his and Mercedes’ last race in the series before leaving for a new venture in Formula E.
As Audi’s René Rast was in the lead, Paffett had to be at least fourth to win the title. Calculating his pace and options was crucial for the title victory. “In the first stint I opened quite a big gap to P4, I saw on the screens that Robin (Frijns) pitted quite late, so I knew he would be coming at the end,” Paffet said. “Instead of chasing after Marco, I decided to look after the tyres in case somebody came up to me at the end of the race. The pit stop was an important point of the race and asked if he was concerned at that time, Paffett admitted the pressure was on. “Many things can go wrong and we haven’t had good pit stops during the year,” he reflected. “The pressure that puts on the guys is incredible, they are great in pit stops, but they had a couple of mistakes and you can imagine the kind of pressure this puts them under to deliver now. “This weekend, as we were fighting for the championship, they gave me two great pit stops yesterday and today. Once the pit stop was over, I was happy that was in the bag and I was counting when there were ten laps left wanting it to be over soon, I actually lost concentration and made a bit of a mistake at Sachs Kurve with three laps to go. Paffett puts an end to his DTM career to move to Formula E in the best possible way after 15 years in the German championship. “It’s a fairytale finish,” he said. 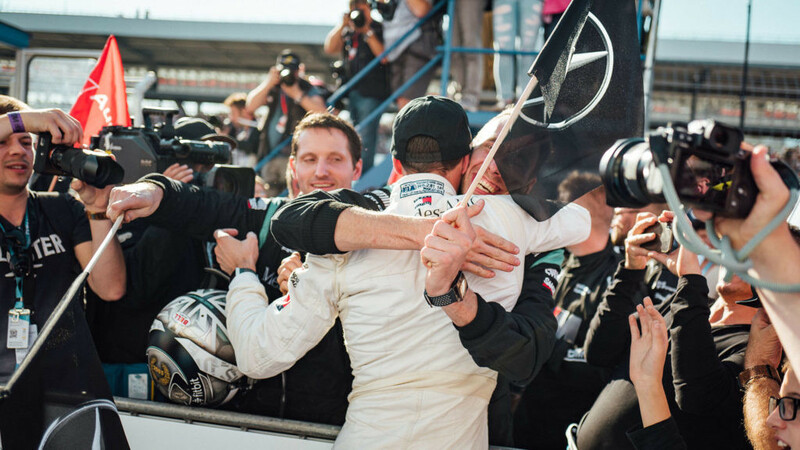 “Mercedes’ last year in the DTM for the foreseeable future, last year in the series for me after 15 years, so I think it’s a perfect way for us to finish like this, winning the championship together. “So many people have won this championship once, but not many have won it twice. But the first one in 2005 came around very quickly and at that point I thought ‘this is easy, I’m going to win five or six of these’. 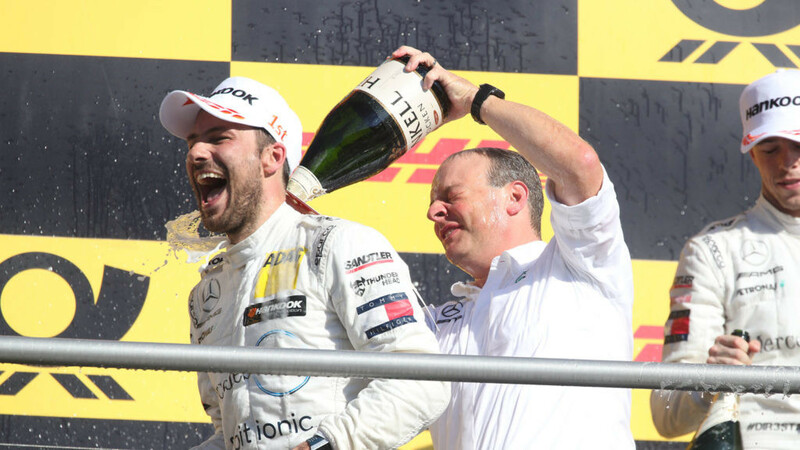 Paffett doesn’t think he was extra motivated to win because of his farewell season. On a more serious note, Paffett reflected about how the season was difficult from Zandvoort onwards. Paffett also paid a tribute to his main supporter, who has backed him throughout his time in the series. “There are so many people out there who deserve this championship because the work they’ve put in,” he said. “My wife has been with me since 2005 and she’s been with me through the good and bad times. She’s been so supportive but she has also told me when I don’t do a good job. “But the guys who have given me such a good engine this year… I’ve worked with so many people at Mercedes, but this year the guys have been incredible, at the next level, they’ve given me a car that is so fast. It didn’t matter what happened during the year, they kept delivering. There are few drivers with 15 years in a top level championship and the Brit says he will miss the DTM. “I will definitely miss this series,” said Paffett. “I will be watching, maybe I will visit, but it’s boring to be in a race and just watch. But I will be going into something new, but it’s a perfect way for Mercedes and me to leave. 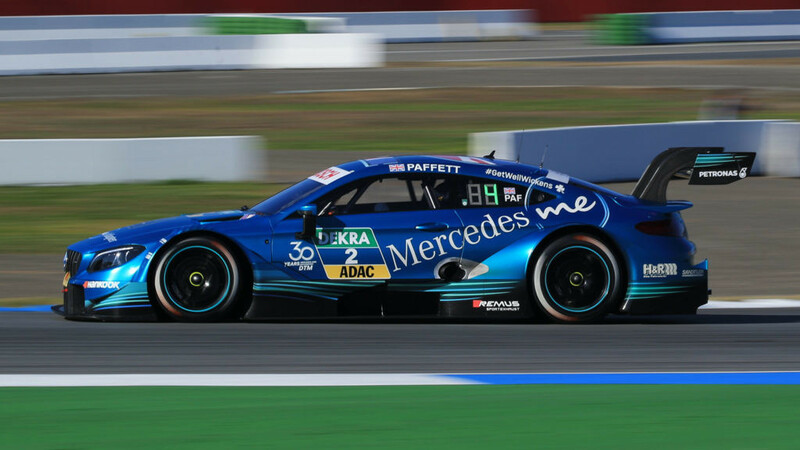 Mercedes-AMG boss in the DTM Ulrich Fritz was happy to have secured their third title of the season and also had words of praise for Paffett.